People, of course. I used to see my son every day, now niente, although we did “Skype” recently. Dinners with Voyageur Femmes. The great people at my place-of-work in Portland: devoted, smart, fun, challenging (in a good way). V & B, our best pals, dining out together, exploring Portland, big holidays. “Dates” with Jonnie seeing oddball plays and artsy movies. While our family is spread about the country, certainly picking up the phone to chat is not as likely to happen, if only because the 6 to 9 hour time difference makes it tougher. Familiarity. We get lost in Rome. I never got lost in Portland (at least not after the first year or two). Sometimes we head out and never get to our intended destination. All part of the adventure, but tiring when it is 90 degrees. A large cup of American coffee once-in-awhile so I can sit with my husband for half-an-hour and chit-chat to start the day. But we’ve replaced that with aperitivi. Not a bad substitute. My furniture. Should come any day now…. The Oregon Zoo, a big part of our lives or so many years. We will miss ZooLaLa this month for the first time in 10 years! That’s about it. I love my job, love the people I work with, and the location is amazing. Food to die for, markets to dream about, and don’t get me started on the pork salumi! Good thing we walk several miles a day. I do not miss Starbucks as much as some would conjecture. The coffee here is damn fine, and we have our amazing Nespresso machine at home. As to Independence Day, we were fêted at the Ambassador’s last night, along with 3000 or so others, including Premier Mario Monti. 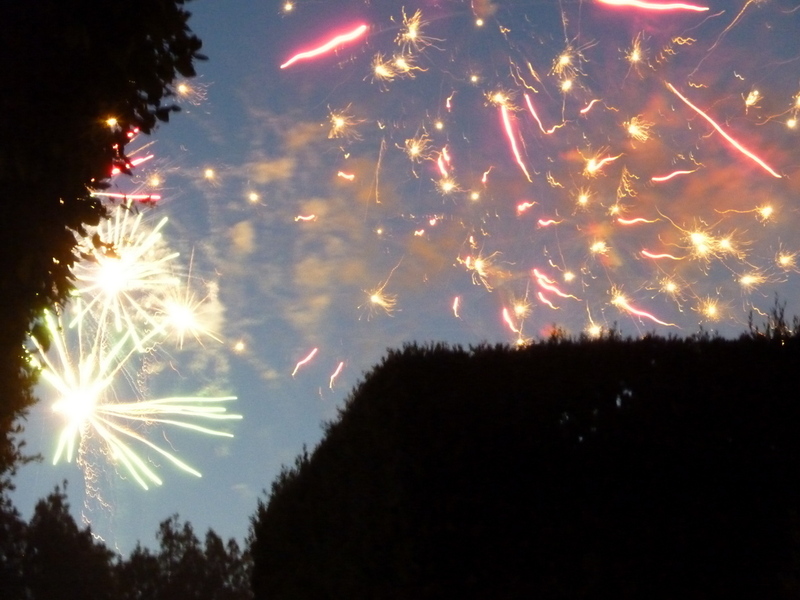 It was definitely a unique 4th-of-July party in an Italy-meets-America sort of way. 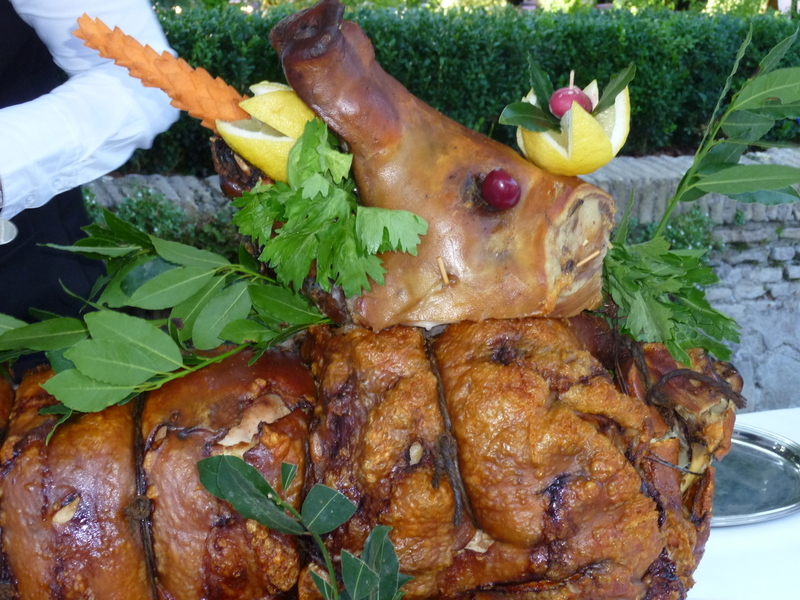 La Porchetta, artfully done and oh-so-delizioso! The menu ranged from hotdogs and hamburgers to porchetta and parmigiano reggiano.I especially enjoyed the Virginia baked ham, which many Italians eyed with suspicion as if thinking “why would you do that to a prosciutto?” There was watermelon, ice cream, and corn-on-the-cob, but also pizza, pasta, and the most impressive cheese table I have ever eaten my way through laid eyes on. Italian wine flowed along with Miller beer. (If you can lay your hands on a bottle of Brachetto d’Acqui, do it. A fine summer red for aperitivi!) The National Anthem was sung by one of our Marines, and the musical entertainment was 100% American jazz/swing/pop. 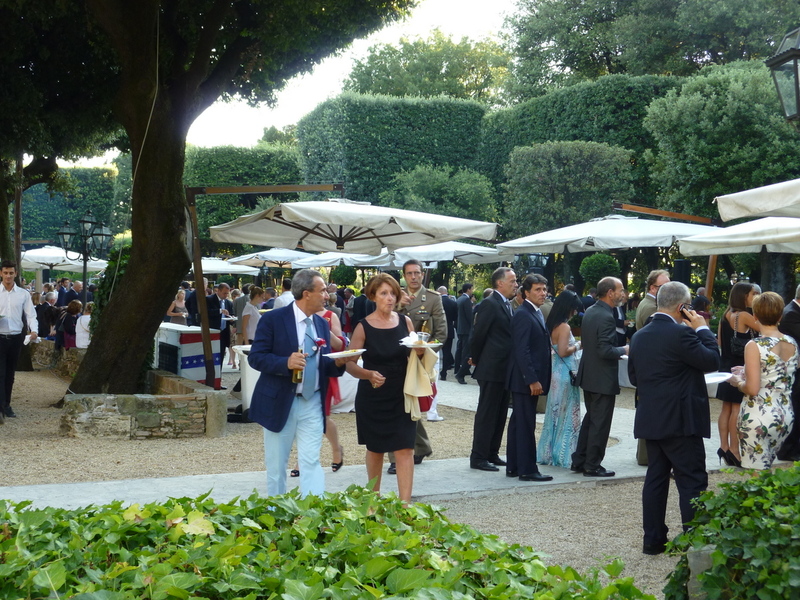 The party is a hot ticket for Italians: Efforts to secure an invitation endured until the last moment. Italian guests out-numbered Americans by a huge majority. In fact, Ambassador Thorne gave his speech entirely in Italian. Lest you think the U.S. Government spent taxpayer dollars on this largesse, be assured corporate America and L’Italia delle imprese (Italian business) made the evening possible through sponsorships. Crowning the evening, an impressive fireworks display. Happy #236 America! 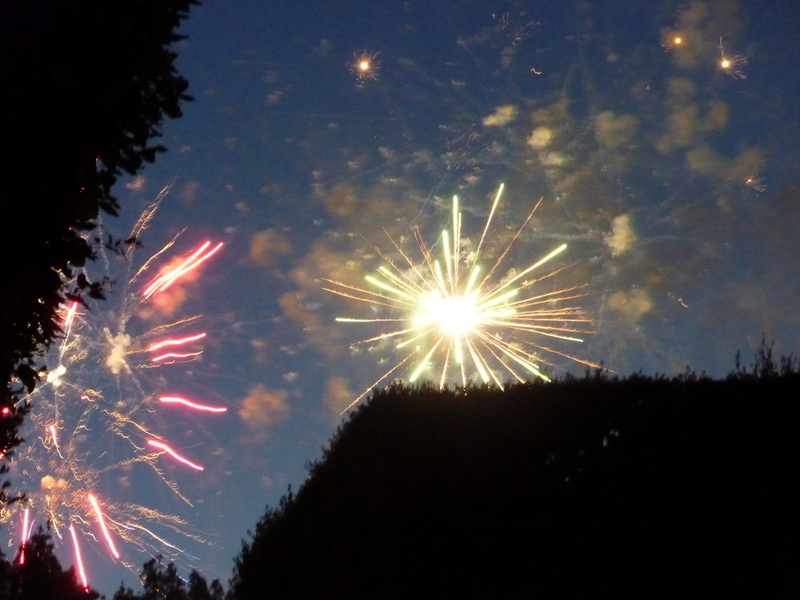 Fireworks above the carefully trimmed trees of Villa Taverna. Bravissimo! Quite a show in the middle of Rome. Ciao Laurel — I’ve enjoyed cooking in Italy while staying in homes and apartments over the years, often inviting local friends over to a “home cooked American meal” just to share some good ol’ fashioned American classics. Virginia baked ham, fried chicken (pollo fritto? da vero? ), corn on the cob (that’s pig food! ), potato salad… the list goes on and on, as does the amusement in the faces of my guests. That’s part of the fun of cultural exchange. Happy 4th to you two, and enjoy the glorious Italian summer. Sorry we missed you Michael! Next time! David Thorne. Your memory of obscure movie details is impressive. Now, what did you have for lunch ysterday. Must be nice to see how our holiday is celebrated in another country. It is! We are so respected here: it’s nice to experience! Wow, that’s neat that they do all that for the 4th for the Americans. Happy 4th! One of 3 July 4ths you will remember for years. Think of all the ones you’ve forgotten in the USA!